We are Not Like Other SEO Companies! We can offer you a comprehensive service which includes analysing the deep structures of your website. We have worked with many SEO companies in the past but none of could deliver the high-quality service that we needed. 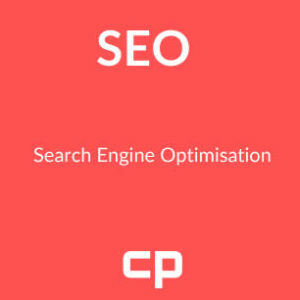 What we can do is give you the highest possible level of search engine optimisation. When we set up your pages and make recommendations we will write examples for you to illustrate exactly how they should be constructed. For example how gender pages, categories and sub-categories should be organised. We then give you a roadmap to continually develop the site. On-page analysis to make sure that each of your pages targets a relevant keyword or phrase so that your site can perform at its optimum setting within search. Audit your site and report on the major issues. Analyse site structure from the homepage through to sub-categories, products and services. URL structure creating the optimum page URLs for your type of business. Drive out duplicate content and meta so that your site is clean and professional. Keyword analysis and phrases linked to each page of your site – maintaining one theme/one page. Grouping pages together for Google which are serving the same purpose. Internal link building to strengthen the relationships between your pages. Advise on external link building, what and where to avoid and anchor texts. Our service is based on years of experience and study into the often murky world of SEO. Carousel Projects will show you that it is not all mumbo jumbo or inhabited by sharks. We want to show you how to make your pages the best they can possibly be. We want to show you why we offer the most professional Search Engine Optimisation Manchester has to offer. So what are you waiting for? give us a call, contact us!